Camping Mun. La Falaise är en camping i Équihen-Plage, Pas-de-Calais, belägen vid havet. Denna camping med sluttande terräng har platser med stängsel och platser med lite skugga. Camping Mun. La Falaise ligger i närheten av en sandstrand. Det finns möjlighet att hyra husbilar och bungalows. På campingen finns en lekplats och ett sportområde. Campingen förfogar över en utomhusbassäng, ett uppvärmt inomhusbad och ett knattebad. Det finns också en vattenrutschbana. I den närliggande omgivningen kan du också simma i havet. Denna inspektör gör varje år ett besök på Camping Mun. La Falaise och inspekterar campingen för ca 200 faciliteter och för andra förekommande punkter. Inspektören är en medarbetare från ACSI och arbetar inte för campingen. On a steep slope but worth it for the view of the sea and sunsets. Great swimming pool. Sandy beach nearby. Bus into Boulogue-sur-Mer. What they never told us that all touring pitches were at top of the hill and not in a very good condition. Toilet block ok but no toilet paper.Beech very nice but at the bottom of a very long hill. Swimming pool very nice but you have to pay to use it and for the showers. As mentioned by other travellers site is set in a valley with touring pitches at the top of site access via steep one way system, pitches small and sloping devided by tall hedges making it hard to get level. Toilet, showers and washing facilities very good and modern. Access to beach via 15 to 30 minutes walk, same with local shops. Cycle route near by but please allow for steep hills in your walking including trip to large sandy beach that stretches over a mile to next town. Nice little site, tucked in a great green space just below the famous castle where William the Conqueror was born, worth a visit if you are into history. Reception closed till 4pm but we picked a pitch and went back later, staff very helpful. Facilities very acceptable and free wifi in the guest lounge library. We found a pitch with a great view of the castle above us. Used as a one night stopover before catching the ferry. Very sloping site with touring pitches up a steep slope right at the top of the site. Pitches sloped both ways and not very big, which wasn't the best for our tent and not very suitable for caravans. Wind blew all night so didn't sleep at all as pitches very exposed. Showers were operated with a plastic card. Near to nice beach down a hill. You need to be fit to get up and down the hill if you want to go to the beach. Motorhome pitches were at the very top of the hill and were uneven. Showers are controlled by a card system but they run continuously with nice hot water. Toilets are in a separate block from the shower. Sanitary blocks are locked overnight and not opened until 8 am so beware if you have an early exit. The beach is great for dogs although a bit of a trek!! Site on terraces, very steep and needed 2 blocks to get the caravan on the level. Very steep hill from pitch to toilet block, very steep hill to beautiful beach and car park at bottom only had spaces in the mornings. However, it is convenient for Calais, and there are some lovely towns and beaches with promenades close by. This is an ideal site for jumping off into France or back home but don't expect an early start as the barrier is not raised until 8 am which meant a very fast dash to catch our train at Calais. Showers and washing facilities are also locked up at 9.30pm until 8.00 am. Staff could also do with a little understanding of English. Stayed 3 nights fitting in getting the dog sorted to return to the UK. The reception staff were not welcoming. However, the ladies who were cleaning were extremely friendly and helpful in answering queries. The beach is amazing for walking the dog, and he just loved it. Dogs are not allowed on the beach to the left, but on the left by the boat ramp people seemed to be walking dogs, so we joined them. The pitches were not very good and mole hills seem to have just been squashed. However, saying that, we would use the site again for the beach walks alone. Vill du boka campingen Camping Mun. La Falaise eller få mera information? Det går bra med nedanstående uppgifter eller via campingens webbsida. 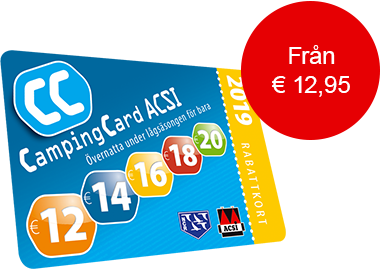 ACSI Eurocampings skickar din informationsförfrågan till "Camping Mun. La Falaise".